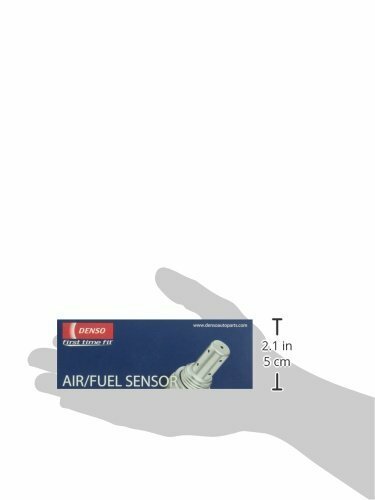 Denso Oxygen Sensor is designed to detect the amount of the exhaust gas air and fuel ratio. It is constructed from durable material that is corrosion and abrasion resistant. This sensor features zirconia solid electrolyte integrated with alumina heater substrate which precicely controls the amount of oxygen concentration that flows into the diffusion layer to limit current flow. This sensor can easily be installed and ensures longevity. Air/Fuel Ratio Sensors Utilize a Sophisticated Sensing Element that Enables Them to Produce a Precise Output in Proportion to the Air/Fuel Ratio Double Protection Cover Maintains Proper Unit Temperature for Quicker Response Times and Protects the Ceramic Element From Contamination Denso Oxygen Sensors Feature an Aluminum-Oxide Trap Layer to Protect the Ceramic from Silicone and Lead Poisoning, Preventing Damage to the Platinum Electrod Stainless Steel Housing Resists Corrosion and Contamination with a Rugged, Watertight Body Porous PTFE Filter Allows Atmospheric Oxygen the Enter the Sensor without Permitting Water or Engine Contaminants to Seep into the Casing AFR Sensors Provide the ECU with an Exact AFR Response, Resulting in Better Performance, Lower Emissions, and Increased Gas Mileage.